Interim City Manager Elaine Hart announced today, Dec. 14, 2016, the appointment of Atlanta Commissioner of Public Works Richard Mendoza as Director of the Public Works Department for the City of Austin.Mendoza, who will begin in Austin on Jan. 17, has ties to Central Texas. Previously, he worked as the Assistant Director of Public Works in San Antonio from 2008 to 2010 and as the Director of Public Works for San Marcos from 1999 to 2008.Prior to his time in San Marcos, Mendoza was a Production Maintenance Manager for the San Antonio Water System for 4 years, and a Project Engineer for the Kelly Air Force Base in San Antonio for 7 years. “I am delighted to have Richard joining us to lead our Public Works Department,” said Elaine Hart, City of Austin Interim City Manager. “His more than 27 years of experience in public service management and civil engineering will be vital in leading our public works staff on many critical infrastructure and civil engineering projects. I look forward to working with him.”During his time in Atlanta, Mendoza oversaw the completion of a $150 million bond program and was a part of the development of a $250 million infrastructure bond that Atlanta voters approved in 2015. The City of Austin Public Works department has a staff of 530 full-time and 200 part-time employees, an annual budget of more than $90 million and works on the City’s capital programs.Mendoza is a Professional Civil Engineer and a board member on the National Association of City Transportation Officials. 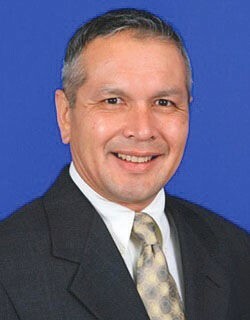 Mendoza earned his Bachelor’s degree from Texas A&M University-Kingsville and his Master’s Degree in public administration from Texas State University-San Marcos.He will replace Howard Lazarus, who left the City earlier this year to become the City Administrator for Ann Arbor, Michigan.